“Do you believe that the 2001 authorization to go to war with those who attacked us on 9/11 applies to Iran or Iran's Revolutionary Guard?” Senator Rand Paul asked Pompeo on April 11 during a Senate Foreign Relations Committee hearing. “I'd prefer to just leave that to lawyers,” Pompeo said, dodging the question. “So you're unwilling to state unequivocally that you, that the resolution in 2001 to have retribution and stop people who attacked us, that Iran had something to do with the attacks on 9/11?” Rand asked. Then on Monday, April 15, the Trump administration's decision to designate the Iranian Revolutionary Guard Corps as a foreign terrorist organization went into effect. Wilkerson observed that the elements in this possible lead-up to war—from a president who does not seem to know the inner workings of his own administration’s military strategy to the involvement of hawkish National Security Advisor John Bolton—recall the invasion of Iraq in 2003 under President George W. Bush, where nonexistent Al Qaeda connections were used as justification for war. Wilpert observed that “given that all of this groundwork ... being laid with the terrorism mission for Iran's Revolutionary Guard and the claim of connections between Iran and Al Qaeda,” the U.S. was likely preparing for an attack on Iran, which would fall conveniently in the months leading up to the 2020 election. GREG WILPERT It’s The Real News Network and I’m Greg Wilpert in Baltimore. 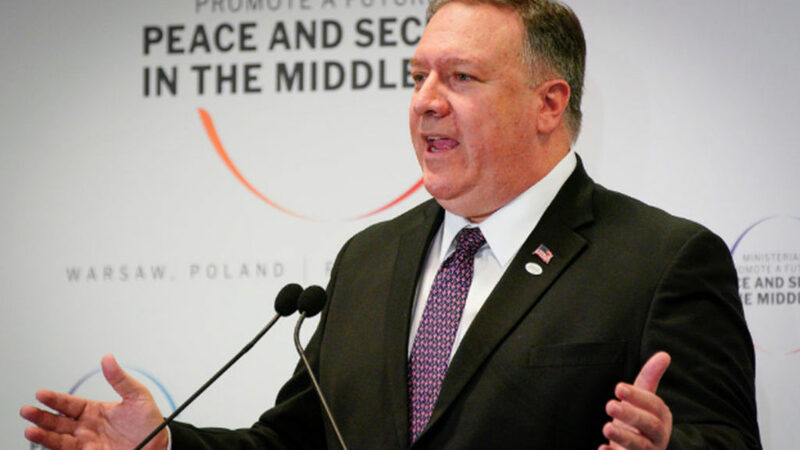 Last week, U.S. Secretary of State Mike Pompeo suggested to Congress that the Trump administration would not rule out going to war with Iran, even when there is no explicit authorization from Congress to do so. Pompeo said this in the context of being asked whether the 2001 Authorization to Use Military Force, or A.U.M.F., could be used to attack Iran on the basis that Iran supported the 9/11 attacks and is connected to al Qaeda, which carried out the 9/11 attack. Here is a clip of the exchange between Senator Rand Paul and Secretary of State Mike Pompeo. RAND PAUL Do you believe that the 2001 authorization to go to war with those who attacked us on 9/11, applies to Iran or Iran’s Revolutionary Guard? MIKE POMPEO I’d prefer to just leave that to lawyers, Senator. RAND PAUL You’re unwilling to state unequivocally that the resolution in 2001 to have retribution and stop the people who attacked us, that Iran had something to do with the attacks on 9/11? MIKE POMPEO You asked a factual question and a legal question there. The legal question, I will leave to counsel. The factual question, with respect to Iran’s connections to al Qaeda, is very real. They have hosted al Qaeda. They’ve permitted al Qaeda to transit their country. There’s no doubt there is a connection between the Islamic Republic of Iran and al Qaeda. GREG WILPERT Then on Monday, the Trump administration’s decision to designate the Iranian Revolutionary Guard Corps as a foreign terrorist organization went into effect. This is the first time that a governmental organization has been designated as a foreign terrorist organization. 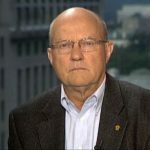 Joining me now to discuss these developments with regard to U.S.-Iranian relations is Colonel Larry Wilkerson. He’s a retired U.S. Colonel and former Chief of staff to Secretary of State Colin Powell. He is now a Distinguished Professor at the College of William and Mary. Thanks for joining us again, Larry. LARRY WILKERSON Thanks for having me. 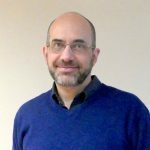 GREG WILPERT What do you think about Pompeo’s claim that Iran is connected to al Qaeda? Is there any basis for this claim, as far as you know? LARRY WILKERSON As far as I know and my experience as well as my research over the last 15 years in academia, leads me to believe this is true. There is almost no contact. There have been transits. There have been criminal transits of Iran and Iran generally tries to block those transits. But like the United States and any other country in the world today, it’s impossible to block everyone. There have been times where al Qaeda might have made overtures to the Iranian government or to parts of that government, like the Quds Force or I.R.G.C., but they’ve always been rebuffed. All we had to do is watch Iran’s fierce attacks on the terrorist groups in Syria and understand how Iran itself has been attacked by terrorist groups often supported moneywise by Muhammad bin Salman from Riyadh of course, and others like the Pakistani I.S.I., and so forth how Iran has responded to those attacks, fearing that its entire society will be disrupted by them, let alone the casualties they produced. So Iran has been a receptor, if you will, of terrorist attacks just like the United States, Europe, and other places have been. So Iran is not a sponsor of terrorism. With respect to Hezbollah, we understand why Iran backs and supports Hezbollah. It’s the only weapon that the region offers to counter Israel’s massive modern military arm. Iran doesn’t have an arm like that. Lebanon doesn’t have an arm like that. To say that Iran sponsors terrorism of any sort, let alone al Qaeda, is just preposterous. The greatest state sponsor of terrorism in the region and indeed in the world is Saudi Arabia, our ally. GREG WILPERT Now the other notable part of this exchange between Senator Rand Paul and Secretary Pompeo was that Paul tried to get Pompei to talk about the 2001 A.U.M.F. Pompeo, though, only said that he’d leave it up to the lawyers whether applying the A.U.M.F. to Iran is legal, but it’s not really clear whether he means that he would wait for such a determination. That is, a legal determination after an attack on Iran or if it would be made beforehand and perhaps prevent an attack. What do you think? Is the administration getting ready to apply the 2001 A.U.M.F. on Iran? LARRY WILKERSON To me this is, as I think it was Yogi Berra who said, “deja vu all over again.” I’m looking at the same kind of trail, as it were, that happened just prior to the invasion of Iraq in 2003 and the same characters with a few new additions actually laying that trail down. The designation of the I.R.G.C. and the Quds Force holds solely as a purtenance of Iranian government as a foreign terrorist organization. And now this business of connecting Tehran with al Qaeda, just like George Tenet and John McLaughlin did in the C.I.A. with Colin Powell before he gave his presentation at the U.N., which we now know was a total lie. Up to this, A.U.M.F. provides authorization. All of these are building blocks and I think the A.U.M.F. is the last building block, in setting the stage for a war with Iran, for the use of military force against Iran. This is preposterous. The A.U.M.F. that was issued by the Congress post-9/11 was aimed at those who perpetrated 9/11. Visibly here, laughably here, preposterously here, Saudi Arabia provided fifteen of those terrorists. The U.A.E., the most staunch Saudi ally right now with M.B.Z. in its leadership role, provided two or three of the others. So we’re looking at the main element that attacked the United States on September 11th, 2001, having come from Saudi citizenry, accompanied by U.A.E. citizenry. And now we’re looking at Iran as applicable under this A.U.M.F. This shows how far we have come from the rule of law, from wise thinking, from decent strategy, from doing the kinds of things that the law and our national security interests would demand that we do. We are actually acting now under President Trump and God knows if he knows what’s happening because most of this is being orchestrated by John Bolton, the National Security Adviser. We’re operating in a way that’s inimical to, injurious to U.S. national security interests, and ultimately, to the long-term interests of Israel in the region. To watch this as an academic and to watch it even more so, more profoundly, as a military professional is really jarring. This is truly stupid. GREG WILPERT So how serious do you see the preparations? That is, in terms of the likelihood that the U.S. would attack Iran sometime before the 2020 presidential election, given that all of this groundwork is being laid with a terrorism designation for Iran’s Revolutionary Guard and the claim of connections between Iran and al Qaeda. Wouldn’t something else have to happen in order for an attack to happen, or is this good enough? LARRY WILKERSON Not necessarily with this administration. I would have thought the same thing in January of 2003 and then two-three months later, we were at war with Iraq— one of the most catastrophic strategic decisions the United States has ever made. I take your point, though, that maybe there are some people out there and even more so, more importantly, there are people in Congress who realize that this same set of circumstances is unfolding with many of the same players yet again. I have to cross my fingers and hope that what’s happening here, even though I don’t think John Bolton and those like him want this; they actually want force to be used and the regime to be unseated. I think what is happening at least in Trump’s mind, is that— and after all he is the president-— is that what we’re doing is bringing maximum leverage on Tehran. So that’s why you have this argument right now between Pompeo and his people on the one hand and Bolton and his people on the other, as to whether or not to tighten the sanctions to the point of zero. That is to say, to keep Iran from selling any oil even under the waivers that Trump has been granting to countries like China and India. Kill those waivers, Bolton and his people say. Kill ’em. Don’t let Iran sell a single barrel of oil. That way, we will choke them. The regime will fall or it will be easy to beat, militarily. On the other hand, Pompeo and his team are saying, don’t do that because we don’t want to take it to that point. So we’ve got that battle going on within the administration, but I think what this shows is that President Trump wants the tension, the pressure on Iran, to bring Iran back to the negotiating table so he can claim just prior to the 2020 elections that he’s done the impossible. He’s brought Iran back to the table and we’re negotiating again and that the deal he will produce will be much better than the deal President Obama produced under the J.C.P.O.A. I’m crossing my fingers and hoping that that’s the case and that at the end of the day, none of this happens, that we won’t go to war. But I can’t bet on that because the President has the most mercurial temperament I’ve ever seen of anyone at this level of power and so, anything’s possible. GREG WILPERT One last point though. Don’t you think that the role of the Europeans would play a role, would be important here, because after all, they’re opposed to breaking up the J.C.P.O.A., the agreement on the nuclear energy for Iran? When we went up to the Iraq War, they were actually instrumental in participating with the Bush administration at the time, at least some countries were, whereas now it seems like the U.S. has no allies in its effort to oust the Iranian government. So don’t you think that that might still be a factor in holding the U.S. back from war? LARRY WILKERSON It should be and normally and naturally, it would be. But remember, even with my administration, George W. Bush, we had a “coalition of the willing,” as Donald Rumsfeld called it and that coalition only included substantially the United Kingdom. Germany was vehemently opposed. Chirac and Dominique de Villepin, the foreign ministers of France, were just as vehemently opposed. So that didn’t stop George Bush and I don’t think this administration, given its policy towards the Europeans to this point which has been just disastrous, and his policy in particular towards the most powerful member of Europe, Germany. I don’t think it will stop this administration for a moment and I know for darn sure it wouldn’t stop John Bolton. John Bolton doesn’t think allies are even necessary, doesn’t want allies. I take your point, but I don’t think that would impede this administration. I still fall back on my original hope that what Trump is after here is the same thing he was after with Kim Jong-un. Call him “Rocket Man.” Threaten him. Tell him that you’re going to destroy him, your button’s bigger than his button, and then all that kind of stuff, and then negotiate with him. I think that’s what Trump wants to do with Iran too. I don’t think it’s going to happen because the Iranians are not going to come back to the negotiating table, but I think that’s what he wants. GREG WILPERT Okay. Well, we’re going to leave it there for now. I’m speaking to Colonel Larry Wilkerson, professor at the College of William and Mary. Thanks again, Larry, for having joined us today. LARRY WILKERSON Thanks. Take care. GREG WILPERT And thank you for joining The Real News Network.